They shot her screen test in Paris, where I’ve never been, in the private room of the café Tout Va Bien, in the Latin Quarter, newly paved in tar, and still lewd that winter with debris from the blockades of stacked cobblestones—centuries old, pried right off the streets—and the stink of some secret catastrophe. So what’s going on in this opening line? Note also the strong internal rhyme scheme: screen / been / Bien / Latin / winter / centuries / stink. —as well as Hiroshima Mon Amour (1959) (the chapter is titled “Evelyn Nevers,” which reverences the eventual name of that film’s protagonist, Elle). The debris and blockades, of course, refer directly to Mai 68. And yet still more is going on. There’s the newly / lewd rhyme, and the strong sibilance that the sentence concludes with (streets—and the stink of some secret catastrophe). 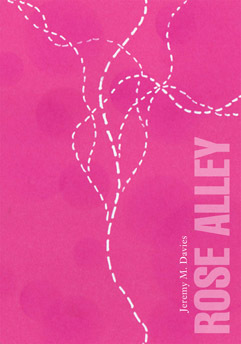 Not to mention, it’s also conveying some basic plot information: Evelyn Nevers shot a screen test (for the film Rose Alley). … Well, that’s a hell of a lot of work for 56 words! & RA @Google Books (go read some of it!). No matter how much attention Jeremy’s book has gotten over the past few years, it’s not nearly enough. It remains, head and shoulders above, one of my favorite recent novels. All of its sentences are this complex, and this good.